Indian Council of Medical Research (ICMR), National Institute of Occupational Health (NIOH) has published Advertisement for below mentioned Posts 2018. Other details like age limit, educational qualification, selection process, application fee and how to apply are given below. 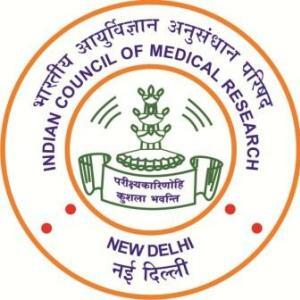 ICMR Recruitment 2018 Job alert both Fresher and Experienced can get ICMR recruitment 2018 updated on January 29, 2018, notification on recent ICMR recruitment 2018 openings across India. This is an exclusive page updated on 29.01.2018 for the latest recruitment notification icmr.nic.in from Indian Council of Medical Research ICMR 2018 it contains both active and recently expired Job openings and recruitment notification from ICMR 2018. Essential: M.Sc. Degree (Chemistry/ Forensic Science), 2 yrs. experience along with NET. Desirable: (i) Experience in chemical and Analytical Laboratory. (ii) Handling sophisticated analytical instruments Viz., GC, HPLC, GC-MS, LC-MS, Statistical software. Essential: High school or equivalent with five years’ experiences in the chemical and analytical laboratory from a Government institution or recognized institute. Desirable: (i) Experience in chemical and Analytical Laboratory. (ii) Handling sophisticated analytical instruments Viz., GC, HPLC etc. Essential: Intermediate or 12th pass from recognized board. Speed test of not less than 8000 key depressions per hour through speed test on computer. Desirable: (i) Experience in MS Office, SPSS and management of data generated in laboratories. Desirable: (i) Experience in the chemical and analytical laboratory. Essential: PG Diploma in Remote Sensing/GIS and one year experience, Graduation in Computer Science/Information Technology/ Computer Application with knowledge of computer technology (Website development, designing, internet, publication etc) and two-year experience. To assist the coordinator in the overall coordination of the ENVIS project/Centre. How to Apply: The interested candidates meeting above-mentioned conditions of eligibility may report latest by 10:00AM as per the dates and time mentioned in each post, at this Institute. Candidates will not be entertained after 10.30 am under any circumstances. The candidates have to submit an application on plain paper along with two copies of their detailed Bio-Data with the attested copies of educational, work experience certificates, one passport size photograph and testimonials at the time of reporting for an interview. The original certificates may be produced for verification on demand. Only shortlisted candidates will be called for walk-in-written test/ interview after verification of documents. The walk-in Written Test / Interview will be taken in English / Hindi. For IT Officer: The interested candidates meeting above-mentioned conditions of eligibility may report latest by 10:00AM on 29/01/2018, Monday at this Institute. The candidates have to submit an application on plain paper along with two copies of their detailed Bio-Data with the attested copies of educational, work experience certificates and testimonials at the time of reporting for an interview. The original certificates may be produced for verification on demand. Only shortlisted candidates will be called for walk-in-interview/written test after verification of documents. Age relaxation will be given to experienced candidates as per ICMR rule.